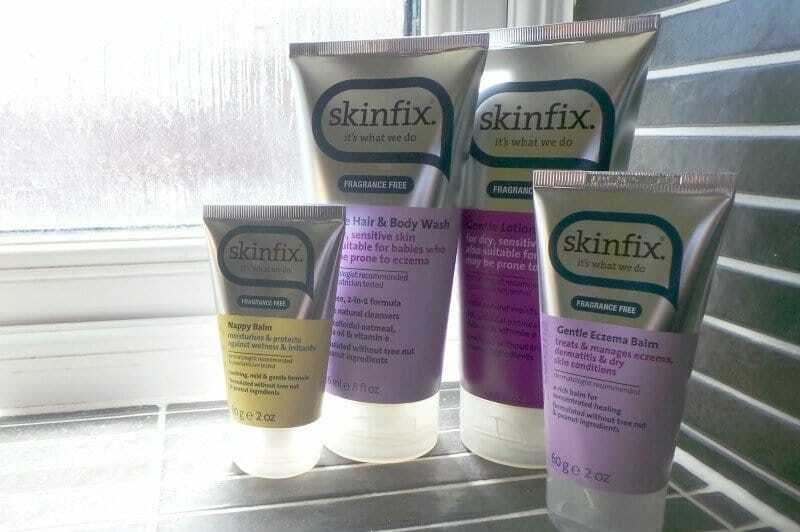 All three of my children have inherited my sensitive skin and as a result, we have to be very careful about what we use on their skin. As a baby, Roo had a very bad reaction to a leading brand name’s wipes and subsequently their other products too. Seeing her little body all red and inflamed I became so weary of trying new products. 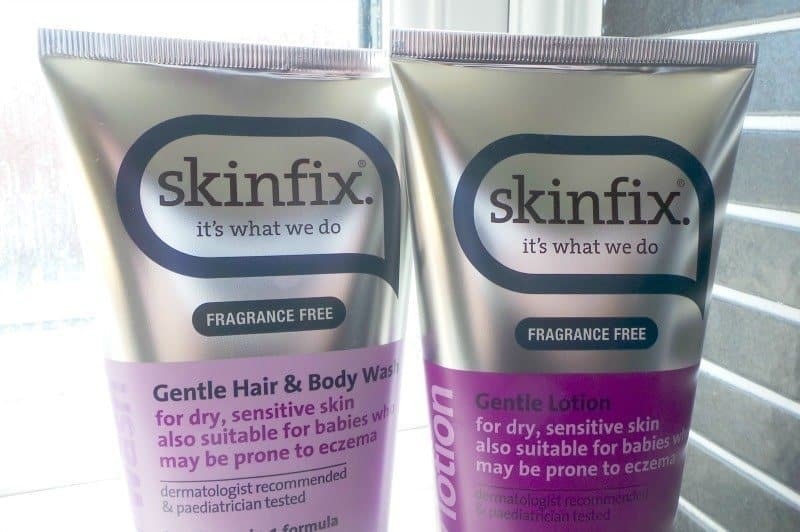 Skinfix introduces Gentle Hair & Body Wash, a mild and gentle formula that cleanses baby’s delicate skin and hair. Sulphate and fragrance-free, this 98% natural, 2-in-1 formula uses natural botanical based cleansers that are tear-free and will not strip away skin’s natural moisture or irritate. In a clinical study run by a paediatrician: 93.5 % of parents agreed that wash was very gentle on their baby’s skin and hair. This Gentle Lotion is made with 98% natural ingredients and is specifically formulated for dry, sensitive and eczema-prone baby skin. Infused with natural moisturisers including jojoba and sunflower oil, it helps banish dryness on contact while colloidal oatmeal and vitamin e help to soothe skin. A nappy can be a hostile environment. The constant exposure to wetness and irritants can leave baby’s skin raw and irritated. This rich, 0% water and preservative free balm protects baby’s delicate bottom, locking out wetness and irritants that may cause nappy rash. This balm effectively creates a barrier with zinc oxide, while replenishing essential moisture with emollient protective oils of sunflower and jojoba. This targeted natural therapy for eczema offers concentrated healing with 0 % water and is preservative free. Emollient protective oils of jojoba and sunflower help moisturise the skin while beeswax locks in moisture and creates a protective barrier. Formulated specifically for baby’s delicate skin, this balm can be used in conjunction with steroids or as an alternative to prescription medication. 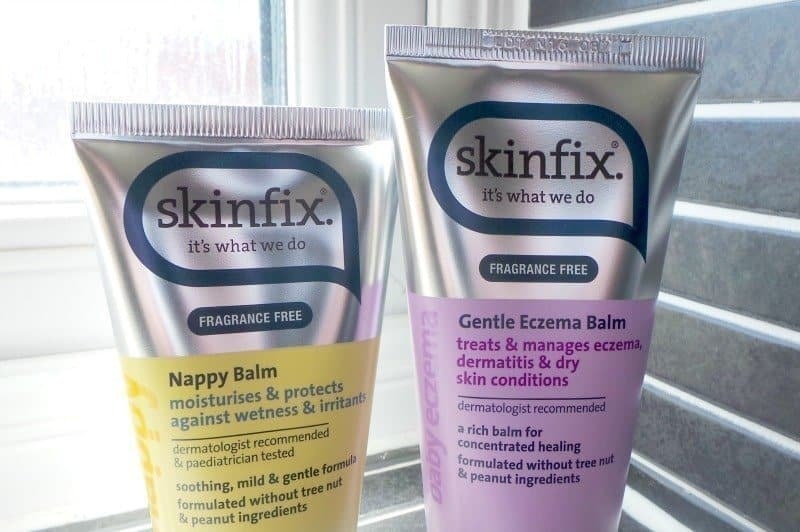 The Skinfix’s Gentle Baby Regimen is a higher price point than I would usually pay for skincare. I do like that the range has different elements to it rather than one bottle does everything, however, this can make it expensive to purchase initially. You don’t need to use a great deal of the product which is good and will make them last that little bit longer too.